Myths have followed turtles since the beginning of time. It is really no wonder as they have been living on our planet before the continental shift, and their fossils appear on every major land mass. Turtles also appear to have super powers, and have survived mass extinctions that wiped out most of the life on Earth. 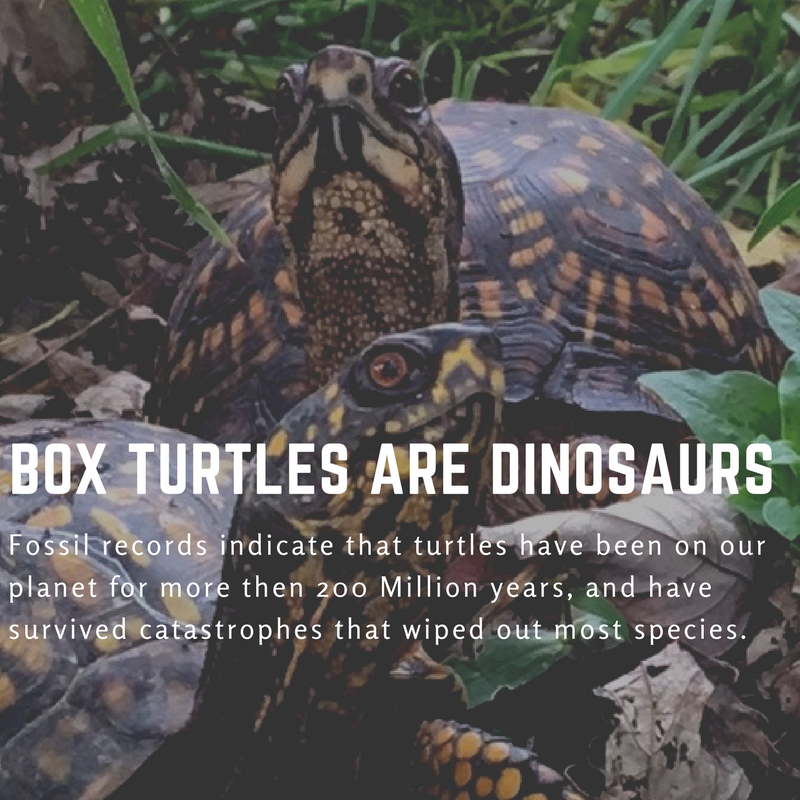 Real or mythical, Turtles are amazing survivors, but without our help in protecting their habitat, it is unlikely they will survive this time of “Man”. So lets get a couple things straight. Although asphalt does retain heat from the sun, there is no scientific evidence that turtles will seek out roadways for the ambient heat. 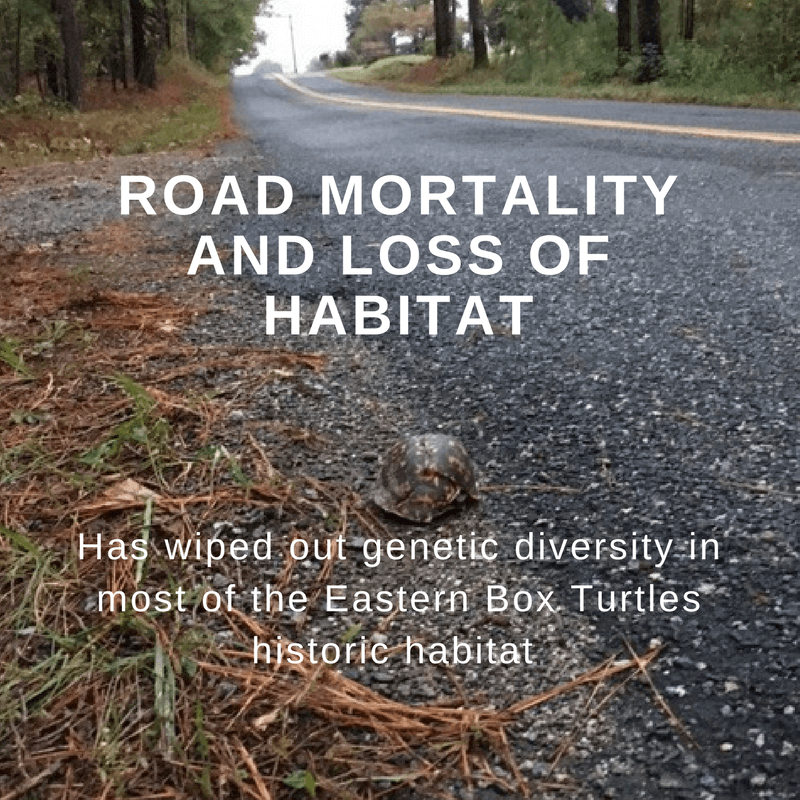 Unfortunately, many of our roads overlap with turtle habitat. Turtles cross roads for many reasons. It is more likely, However, that the roadways cross the turtles habitat, and the turtles are doing nothing more than trying to survive. This is what I have found in my observations of Eastern Box Turtles, when they approach new territory and surfaces. 1) Turtles are observant. 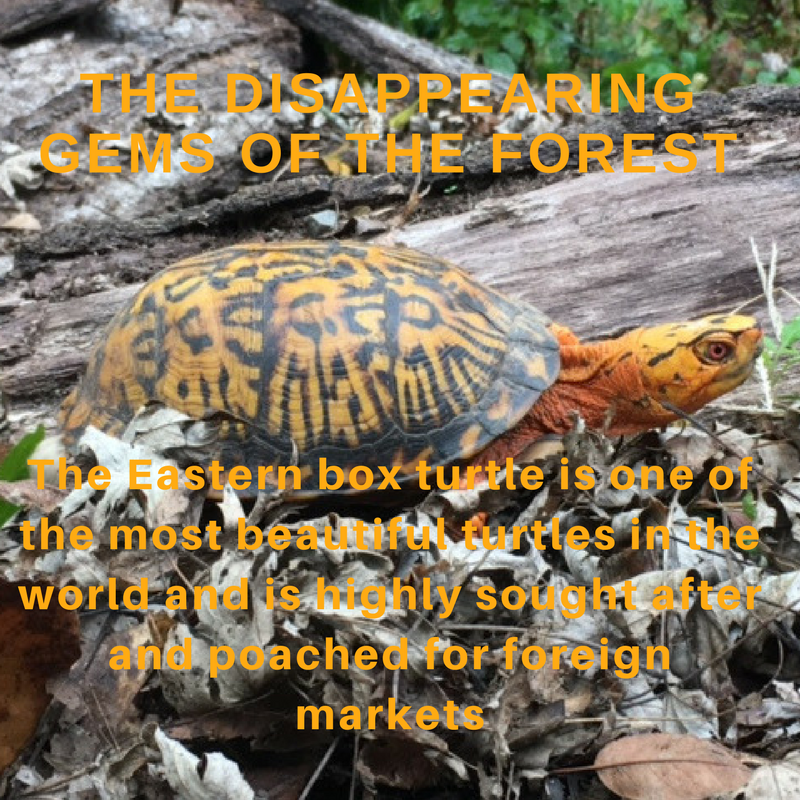 When faced with a “new” clearing, opening, meadow or roadway, a Box Turtle will almost always stop not far from where they entered and they will take it all in. 2) Turtles are not in a hurry. They have no idea that a roadway, farmed field or mowed yard is a dangerous place to be, and remember, he carries his defense on his back. 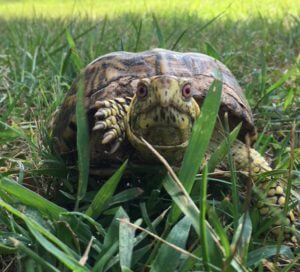 3) Box Turtles live in territories that are developed as they age and explore. They can locate where their favorite blueberry bush is, the water hole, or their favorite place to dig in. Similar to how birds fly south, Turtles are equipped with the ability to navigate, perhaps reading the location of the sun, or using the earths magnetic fields. Choosing to sit in a roadway for heat would be a learned behavior, that would most certainly not end well for the turtle. 4) For millions of years, Turtles and their cycle of life has evolved around the sun. As cold blooded reptiles, their functionality is controlled by the length of the day and the power of the sun. Where as Snakes may absorb heat from hard surfaces like rocks and roadways, A turtles shell provides shelter and camouflage and absorbs heat from the suns rays and the ambient temperature around him. I probably have close to a hundred videos of Box Turtles doing nothing. They sit and observe. If they are not hungry or looking for other turtles they seem to enjoy just soaking up the sun. Myth #2: Turtles shed their shells to grow larger. Once damaged, Keratin will not grow back, but the bone will compensate and become denser on the top. Never. Turtles are Reptiles not crustaceans. A turtles shell is part of its body. His Back bone and his ribs fused millions of years ago to create the shell that has allowed him to become the amazing and unique animal that he is today. Some Scientist believe the shell was formed as the animals took refuge in the earth, where the shell allowed an anti-crush tool against the pressure of the dirt. 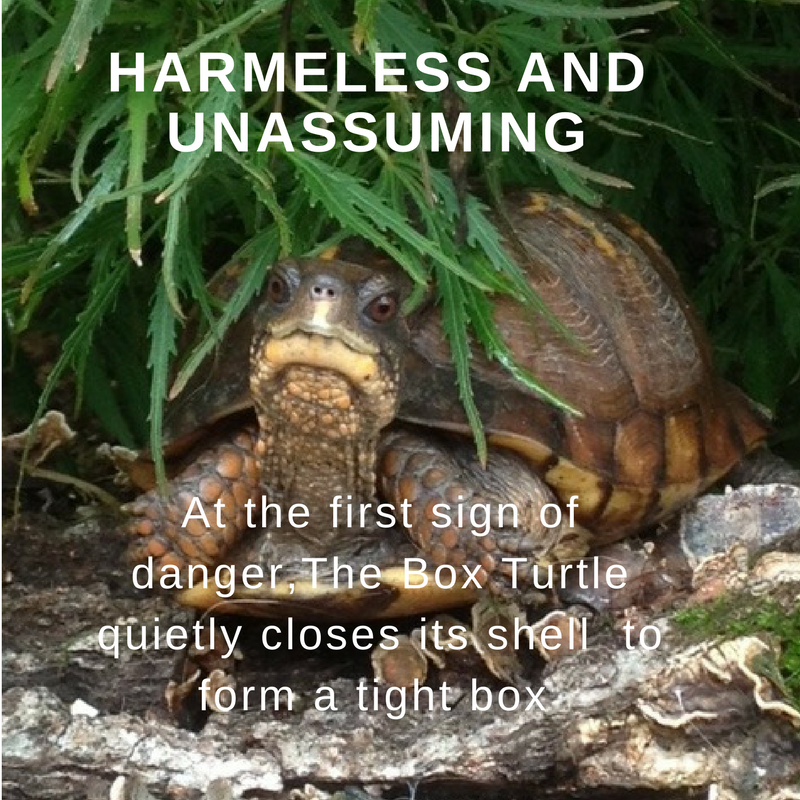 Others believe the shell formed as a shield against predators. However this shell was formed, it is indeed an incredible adaptation that has allowed turtles a “super power” against extinction. The top layer of a turtle shell is made from Keratin. This is the same stuff your hair and fingernails are made of. Some water turtles, like Paints and sliders, shed this top layer of keratin yearly as they grow. Under the shed scute is a new layer of keratin. Our Eastern Box Turtles never shed their keratin. 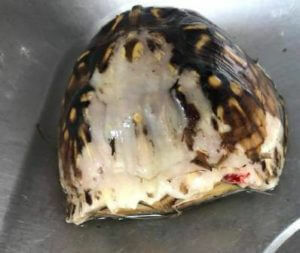 On the occasion that they are chewed on by dogs, the keratin is destroyed first and is the only protection for the bone of the shell. 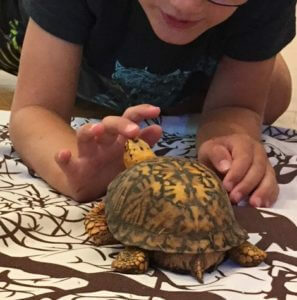 Myth #3: Turtles make good pets. When my family was young, my son had a friend whose family had taken two baby eastern painted turtles from the wild. 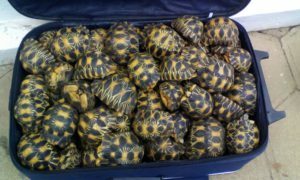 Among the family of three young boys, the turtles were handled a lot, and participated in a number of “races”. They lived in a 10 gallon tank with less then six inches of water to prevent the inevitable escapee. The tank was rarely cleaned, light and warmth came from the aquarium light designed for fish, and there was a sole corner “perch” for them to dry out on. As the boys grew, they tired of the turtles. A family excursion, and my offer to care for the turtles while they were away, finally allowed these two little eastern painted turtles an opportunity to be turtles. They are now 25 years old, and in the Summer, they become part of my education program, and are currently, happily, facing another Virginia winter in their fenced pond, being turtles. Easily purchased as hatchlings, warm weather African Sulcatas quickly outgrow most indoor accommodations. For us to attempt to duplicate the habitat of any turtle is quite a feat. Turtles live in micro-habitats. They are attached to the cycles of the earth. Brumation (hibernation for reptiles) is a physical change caused by the seasons, the sun, the length of the days. We can indeed take the turtle out of its environment and keep it in an artificial one, Sometimes we have to do this for the turtles own health. But should we do this to make them pets? Building an artificial habitat for turtles is a costly process to do correctly and requires as much space as possible. Proper lighting must duplicate the sun, humidity and temperature needs to simulate the native environment, a variety of food and clean water is a constant. Turtles are a long term, often difficult pet that can live upward of 50 years. Many of our native varieties are now protected and state laws make it illegal to remove them from the wild. Some states require permits and proof of custody for native species. It is more than important that we instill an interest in these amazing reptiles in our youth, and turtles are indeed amazing, fascinating and fun creatures to visit and interact with. When kept in captivity, they should be given every opportunity to live in an outside native habitat and as close to what mother nature intended. If a pet turtle is in your future, Please Adopt. There are turtle rescues across the country for both native and exotic species. Make sure you do your homework first and learn about what the needs are for your potential new pet. Myth #4: Eating Turtles can cure what ails you. Illegal poaching of turtle colonies world wide is decimating populations. For generations, the Chinese culture has exploited turtles and their parts as a cure for many maladies, from acne and use as an aphrodisiac, to treating night sweats and irritability . Turtles are sold as charms and used in elixirs, potions, and collected as pets. There is no evidence to support turtles medicinal qualities and no scientific data has been collected to support any claims. Interestingly enough, according to a new preliminary study, eating sea turtle eggs increases the health risk of heavy metal exposure in local communities in Panama. Although Studies have not been preformed on the health benefits of eating wild caught turtles, many colonies of turtles are struggling with toxic chemicals found in their own habitat and water, causing them health issues of their own. According to Paul Gibbons, chief operating officer of the Behler Chelonian Center, a turtle conservancy in California, “The Chinese have already driven their own species to near extinction, and now they are raiding ours” With the supply of Chinese turtles diminishing, American varieties have become a hot commodity with the box turtle, mud turtles and painted turtles becoming among the most valued abroad. How can you Help save Turtles? Spread the word. Advocate. Tell your friends and family. Turtles will only survive if we make the effort to educate those who have been unfortunate not to have experienced the joy in finding a wild turtle in their back yard. Make your space turtle friendly. If you have a yard, plant native beneficial plants. Ones that provide life, in the way of food and shelter for wildlife. Leave your leaves! If you must rake them, leave them in a corner or under bushes. Leaves are the food for the earth and provide shelter and food for many small animals and beneficial insects. If you have a pond or water feature, make sure it is turtle friendly with easy ins and outs. Don’t have a yard? Volunteer at, and support your local nature center or wildlife sanctuary. There is always work to be done and you can learn tons of cool stuff, get exercise and help wildlife! Help turtles cross the road. 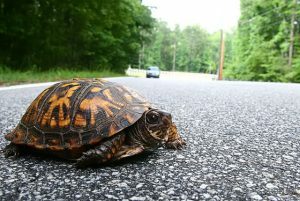 When you see a turtle crossing or about to cross the road, timing is crucial, but your safety and the safety of others cannot be understated. When safe, always move a turtle in the direction it is going. Get Involved. 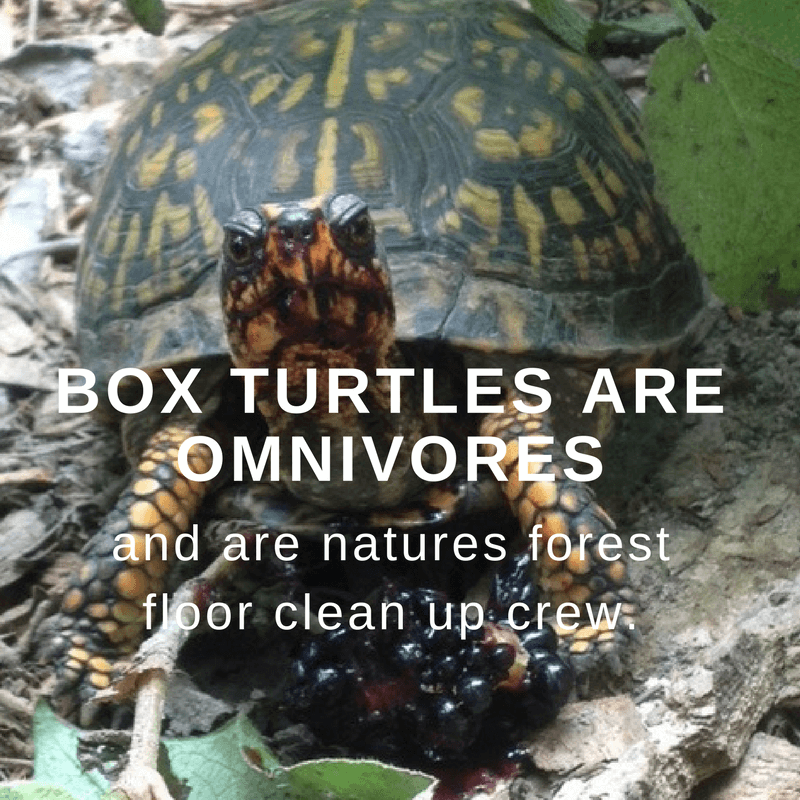 The Box Turtle Sanctuary is looking for People like YOU. Do you want to help but don’t know how.. help is needed with fundraisers, computer entry, facility upgrades and fence building. Do you have a special skill you can share? bookkeeping? website maintenance? blogging? YOU CAN Make a Difference! Please reach out! Solutions start at home, in our communities and neighborhoods. 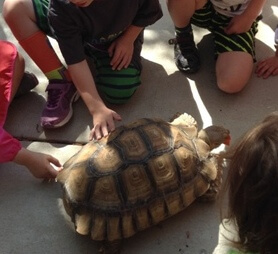 Do you or your family have an Idea on how to make your community turtle friendly? Do you need help getting started? Let me know.. I am here to help!